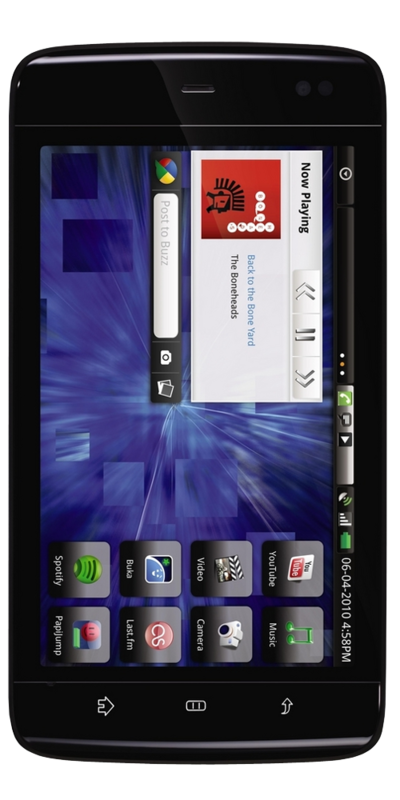 At 5 inches, The Dell Streak is one of the largest Android phones to date. It was first released in Europe, but has made its way over to the United States on AT&T. Dell continued its habit of releasing devices with outdated OS versions (1.6), but have promised that the Streak will continue to be updated until at least 2.2. The Streak is equipped with a 1GHz Qualcomm Snapdragon processor, 5-inch WVGA capacitive touchscreen, 5MP camera with LED flash, 16GB internal memory with microSD support, Android 1.6 (should be 2.2 by the end of the year).